We are extremely excited to announce a new partnership with a new company and product that can revolutionize the way you work with the data from your operation. 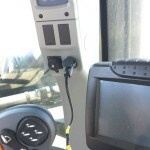 The AGBRIDGE Drive emulates a USB storage device – the USB “thumb drive” that the monitors were designed to use for data offload as well as uploading prescriptions and guidance files. It then can transmit the data from the monitor to their cloud service using WiFi or Cellular connection. 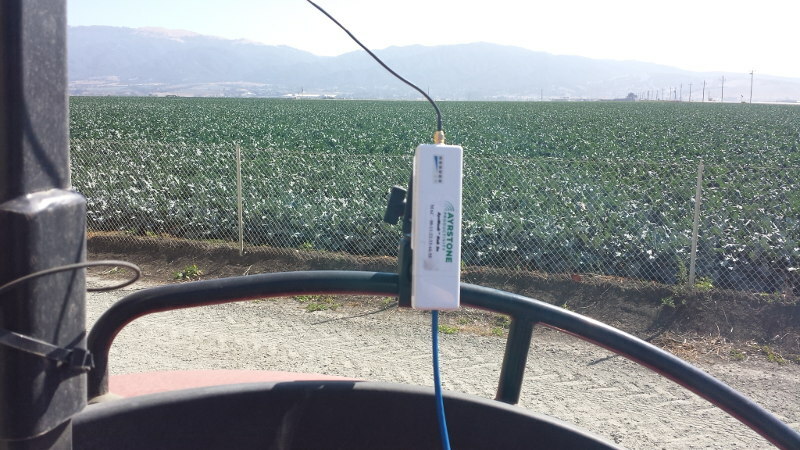 It can use the WiFi from a cellular “hotspot,” including your cellphone’s hotspot capability, or it can send the data to your cellphone and then on to the AGBRIDGE cloud. 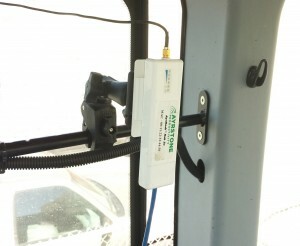 But the best idea is to use your AyrMesh system to upload the data automatically without data limits. you can use it with a variety of software packages to analyze the results of your farm operations and plan next year. You can also view your data on your tablet or smartphone. 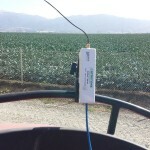 This entry was posted in AgTech, Farm Networking, Internet things, Technology and tagged agtech, ayrmesh, ayrstone, cab hub, combine, data, farm network, farm wifi, Iot, networking, precision ag, sprayer, tractor, wifi, wireless, wireless farm network on February 23, 2019 by billmoffitt. (NOTE: all the pictures in this post can be clicked to see at full-size). 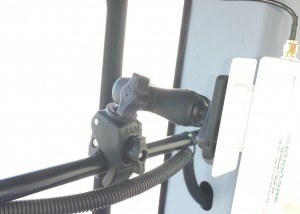 It’s important to be able to mount the Hub high, because the cable to the magmount antenna is relatively short, and it’s important to be able to mount it securely so it’s not banging around inside the cab. 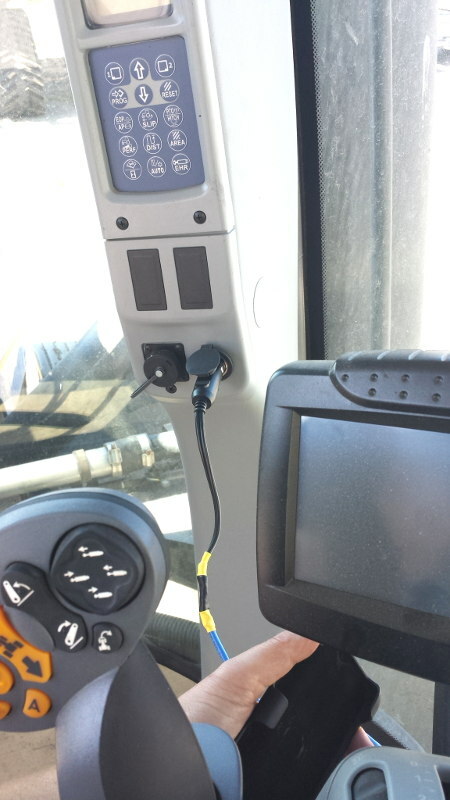 The Hub is not designed for vibration and shock, so it is also useful to isolate the Hub from the cab somewhat. Our friends at RAM Mounting Systems, Inc. offered to help. I’m a big fan of RAM mounts, and I eagerly accepted their offer to help out. I have a RAM mount in my truck with their “X-Grip” mount for my smartphone and a suction cup. 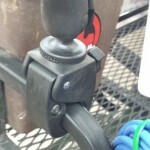 I tried mounting the Hub in it, and it did work, but it did not hold the Hub as firmly as I’d like. 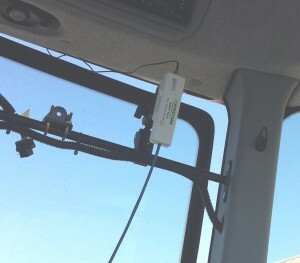 The folks at RAM asked one question: “Is it affected by strong magnetic fields?” When I told them it was not, they said, “then let’s try a magnetic mount.” I told him I had a suction cup base in the truck but I didn’t want to use that in a tractor, so he sent me a “Tough-Claw” to attach to the rack in a tractor. But he also sent me a beefier suction cup for use in the truck and elsewhere. As you can see, it’s attached with nice, large wingnuts. 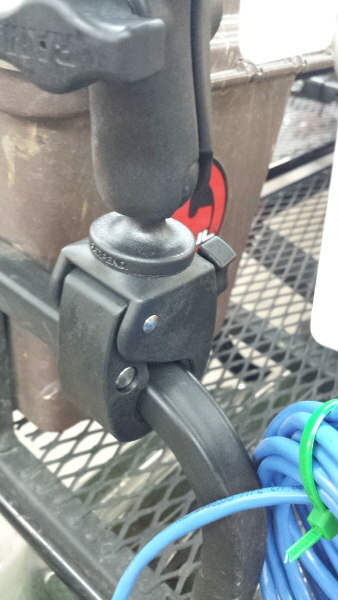 It was not loose and did not slip, but the rubber in the Tough-Grip and the articulation balls on the mount mean that little vibration would be transmitted to the Hub. 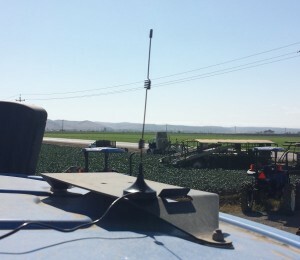 I put the Cab Hub Antenna on top of the tractor and plugged it into the utility power plug in the cab, and the installation was complete – it took about 10 minutes (because I had to get out and climb the other side of the tractor to install the antenna). While I was there, I also tried mounting it successfully on an open-cab tractor they had, and put the antenna on the ROPS cage. 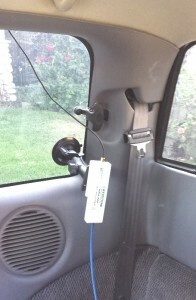 I had not brought along any zip-ties so I could secure the antenna cable to the ROPS, but the power cord plugged easily into the utility plug under the dashboard. One of the most intriguing uses I have seen for the AyrMesh Cab Hub is actually for use on an All-Terrain Vehicle (ATV), so I went over to GPSports to take a look at what would be involved. They had one in the service bay they said I could mess with, so I mounted the Hub on it. 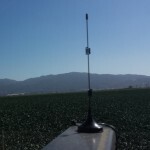 The Tough-Grip was again easy to use on the tubing – the only problem was that there was no place to put the antenna where it would be high, because this ATV had no roll bar. 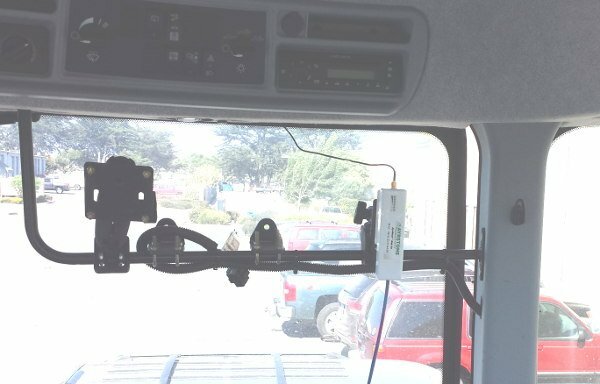 In the parking lot, however, they had some “side-by-side” models, so I made sure the magnetic antenna worked on the roll cage. 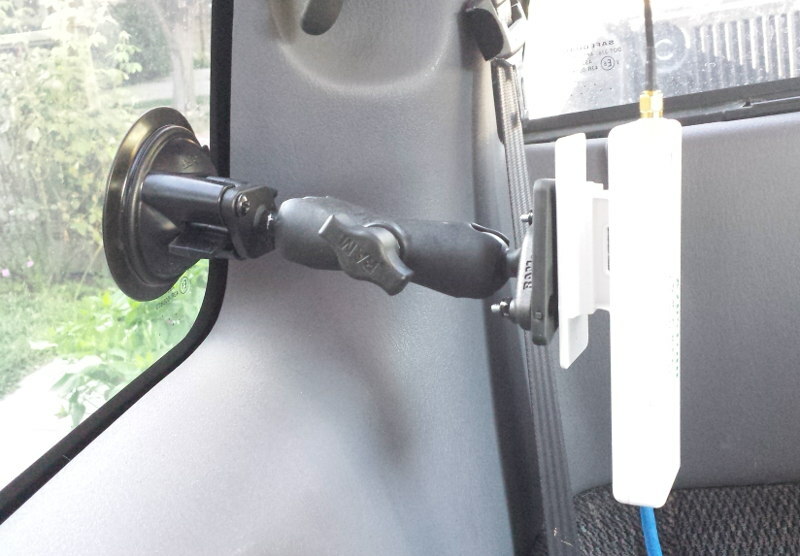 My final test was back in the truck – I traded the Tough-Grip for the suction cup and attached the mount to the back window of my “extended cab” pickup. It has been on there for several days now, and has not yet moved. 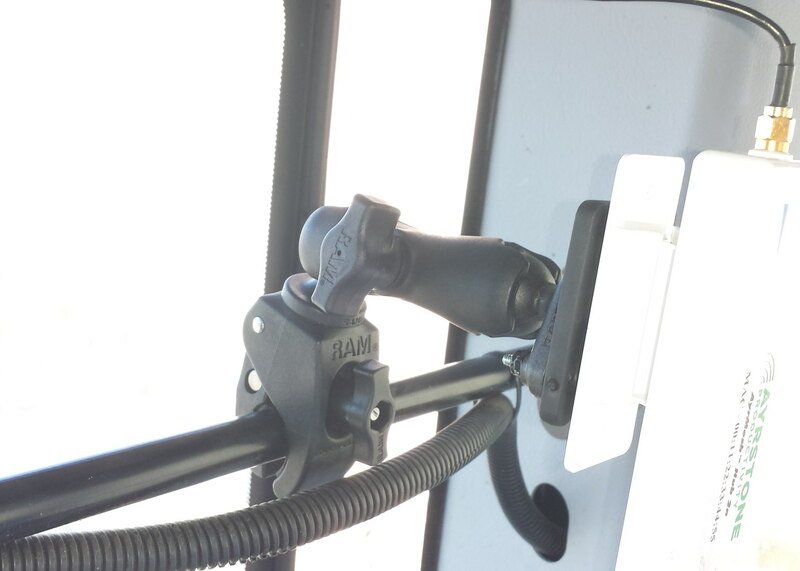 The bottom line on all this is that a small investment in RAM mounts can make mounting your AyrMesh Cab Hub VERY easy in any Vehicle. 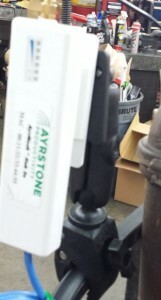 Once again, Ayrstone would like to thank the good folks at RAM Mounting systems, Coastal Tractor, and GPSports. This entry was posted in Ayrstone Products, How-tos and tagged ATV, ayrmesh, cab hub, combine, farm wifi, sprayer, tractor, truck, wireless farm network on September 4, 2014 by billmoffitt.